The Lehmar GmbH from Rechlin, Germany was founded in 1992 in close cooperation with the Lehmar AG from Solothurn, Switzerland. As a specialist in the development of next-generation multi-purpose boats, Lehmar has implemented many new features. There are fibreglass-reinforced plastics for use in sandwich construction. This hull construction is patent pending in over 20 countries. The modular design allows design versatility in construction of our boats. 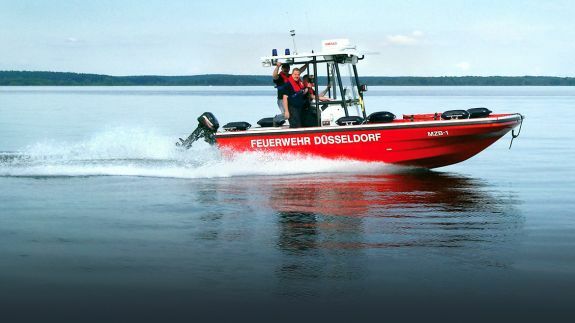 This makes Lehmar boats the first choice not only for rescue and recovery, but also for recreational boaters. 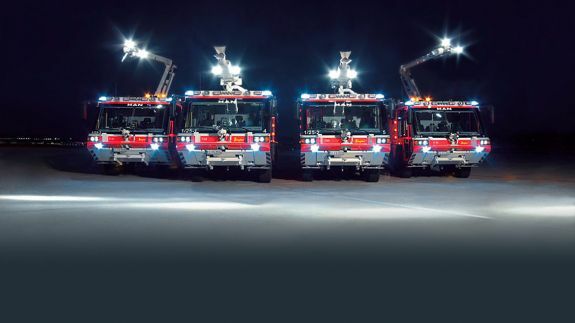 Lighting fixtures, equipment for ice and water rescue and survival suits and emergency systems complete the range. 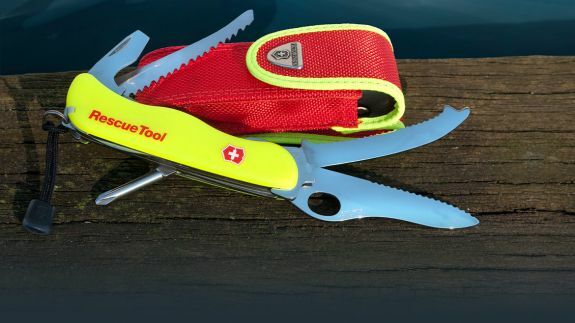 Our customers include firefighter and oil spillage cleanup crews, the State Water Police, the Federal Agency for Technical Relief (THW), the German Red Cross and other lifesaving companies, port authorities, customs offices, dive clubs, yacht clubs and many others. 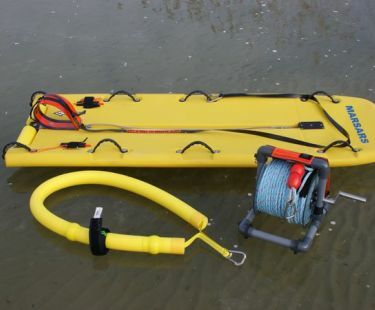 With the beginning of winter time the topic ice rescue is moving more and more into focus. 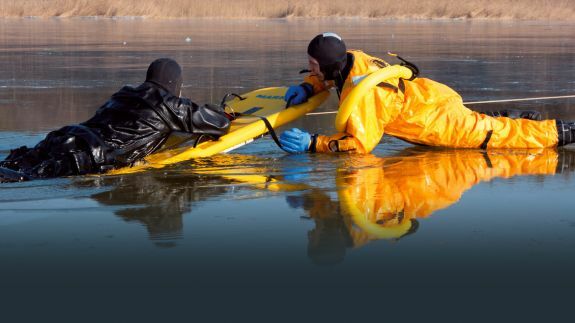 Find out about the most advanced ice rescue equipment and ice rescue suits! 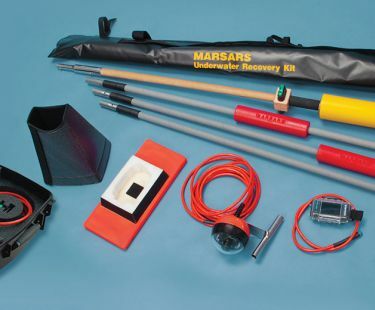 Underwater rescue and recovery systems facilitate the search and rescue of people and animals. 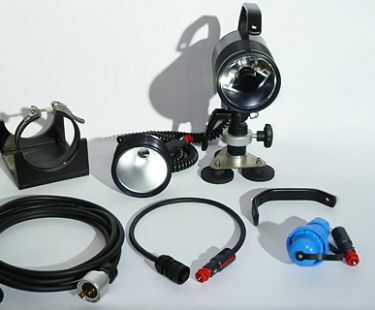 Our catalog side lighting technique has been extended to the accessories for HID and LED lighting. 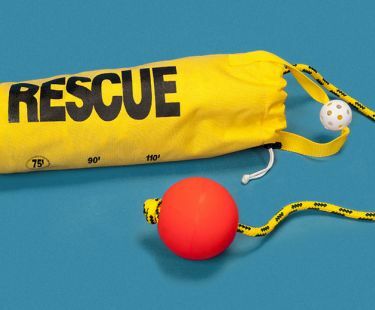 Our new rescue throw bags make the rescue now even faster and more secure.